Media captionR. Kelly speaks directly to the camera during an interview on television in the US. Embattled US R&B singer R. Kelly has been taken into custody for failing to pay child support. A judge in Chicago said he would be held until he paid $161,000 (£122,000) owed to his ex-wife and their children. 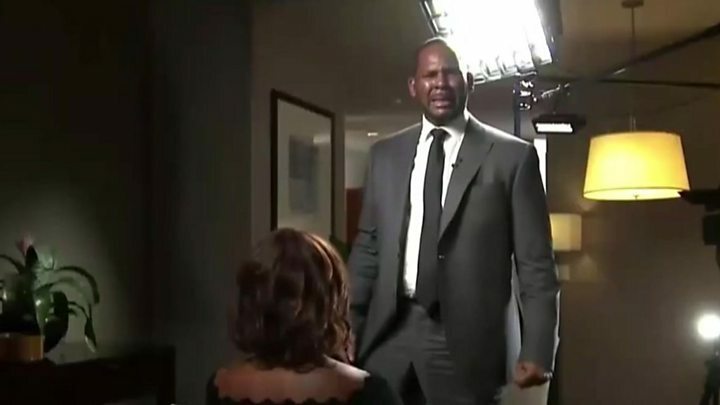 It comes hours after R. Kelly tearfully and angrily denied allegations of sexual abuse in a TV interview. Last month, he was charged with 10 counts of aggravated criminal sexual abuse, involving four alleged victims, three of whom were minors. He pleaded not guilty to all the charges and was released on bail after spending three nights in jail. If convicted, he faces three to seven years in prison on each charge. What is the child support case? R. Kelly, 52, was detained after a court hearing in Chicago on Wednesday. He was prepared to pay up to $60,000 of what he owed to his former wife, Andrea Kelly, and their three children, but the judge required the full amount. The singer's next court hearing is scheduled for 13 March. What about the emotional TV interview? R. Kelly was speaking to CBS This Morning - his first interview since his arrest last month in the sexual abuse case. The star also denied accusations, raised in the recent documentary Surviving R. Kelly, that he held women against their will, confiscating their phones, restricting their food, and denying them access to their families. 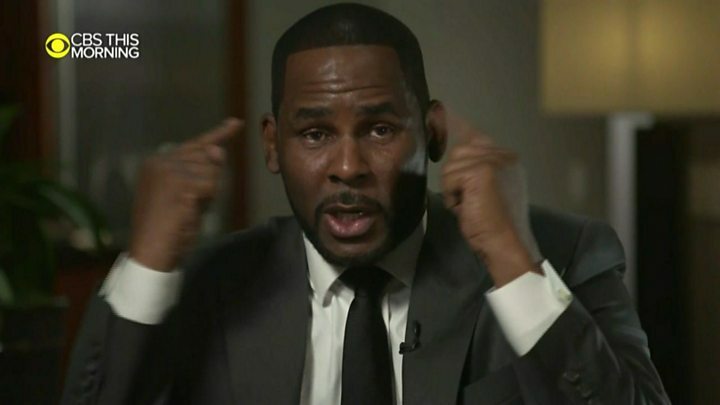 Becoming emotional, he asked CBS news reporter Gayle King: "How stupid would it be for R. Kelly, with all I've been through to hold somebody? How stupid would I be to do that?" "Use your common sense," he continued, raising his voice and turning to address the camera. "Forget the blogs, forget how you feel about me. Hate me if you want to; love me if you want. But just use your common sense." "How stupid would it be for me with my crazy past and what I've been through [to say], 'Oh right now, I just think I need to be a monster and hold girls against their will and chain them up in my basement?" "Quit playing, quit playing," he said, becoming tearful. "This is not me." At this point, Kelly stood up, pounding his fist and beating his chest as he declared: "Are you all trying to kill me?"